We really didn't 't get any spring skiing at Kicking Horse this winter. Except for a couple days, it was winter from start to finish. But finally the warmer weather hit a few days ago and with amazing snow coverage Patrick from Selkirk Sports joined me for a skin up the slopes behind Vagabond. We made it about half-way to the top and took about 1 and a half hours mostly skinning but in a couple spots we took our skis off and climbed up which made it a lot easier on the steeper terrain. After a short rest, we skied down which took us about 10 minutes with a number of stops. Awesome day and a great work-out. There may be one more trip up yet before we put away the skis. Another ski season is in the books here at Vagabond. And wow. What a great ski season we had. Over 1000 cms of snow at the top of Kicking Horse which was a record. And it is still coming down as I type this up. I managed to get up for 100 days of skiing this winter which is the most I have ever done in one year. And most of those are climbs to either T1 or T2. The video is from the second last day on April 14th. I did go skiing on the final day but the visibility was very poor and my body said "enough is enough." One run down on the final day just to say I skied the final day. We had some great guests over the winter with a great many of them returning year after year and a number have already booked their stay for the 2018-2019 ski season Now we get a month and a half break to recharge and then we will reopen Vagabond in early June. It already looks like it could be the busiest summer we have ever had. I am looking forward to some great hiking, kayaking and mountain biking. All we need now is to get rid of all our snow which may be awhile yet. Give us a call here at Vagabond at 250 344 2622 or email info@vagabondlodge.ca to book your stay or fill out the form on this page and I will get back to you. We are in the last few days of operation at Kicking Horse. Vagabond has been closed for a couple weeks so it gives us a chance to relax and enjoy the skiing. And boy has it been a treat. I have done some extra exploring near the resort with some friends and have actually tried some new terrain just out of bounds. We always carry avalanche gear. It has been an awesome winter. We will take a break and get ready for the summer season and from the looks of the early bookings, it will be very busy again. A lot of powder still! The snow keeps coming. Although we have shut the door for the ski season at Vagabond, the skiing continues. I went with a couple of friends Ken and Spencer the other day just out of bounds off T2 at Kicking Horse. Despite being here for 15 years this was the first time I had skied this run. Since it is out of bounds, I never recommend doing this unless you have all the necessary avalanche gear and go with someone who knows the terrain because it is easy to get into trouble. It was a fabulous run. 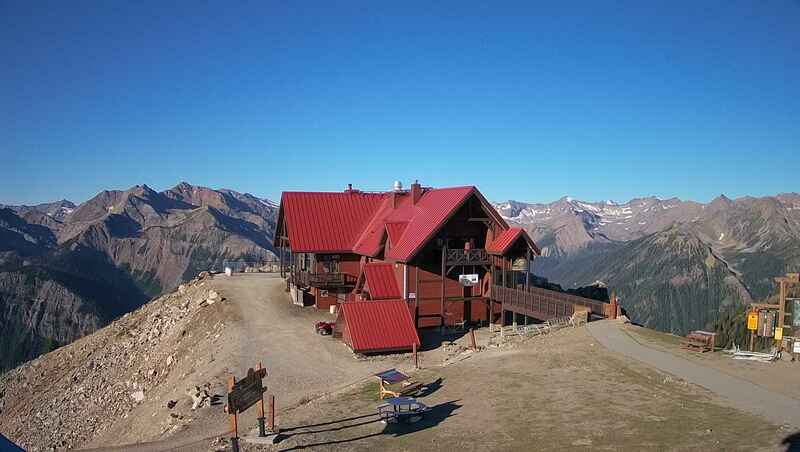 Kicking Horse Mountain Resort closes on April 15th and then reopens in May until October for the summer. Vagabond will also be reopening in June.